Our main industry, as an international offshore centre, is of course finance. Jersey is home to PwC, Deloitte, EY and KPMG, the so-called Big Four, as well as the world’s top banks, investment houses and trust companies. According to the Jersey Business Tendency Survey, the future business activity indicator was strongly positive for the finance sector with half of companies anticipating increases over the next three months and half expected not to change. With around a fifth (21%) of businesses in the finance sector in Jersey reporting that profitability has increased, it stands to reason that recruitment in this sector is growing. Finance companies want to attract the best talent to help them grow their business. The recruitment process can be rigorous and involve a series of interviews. 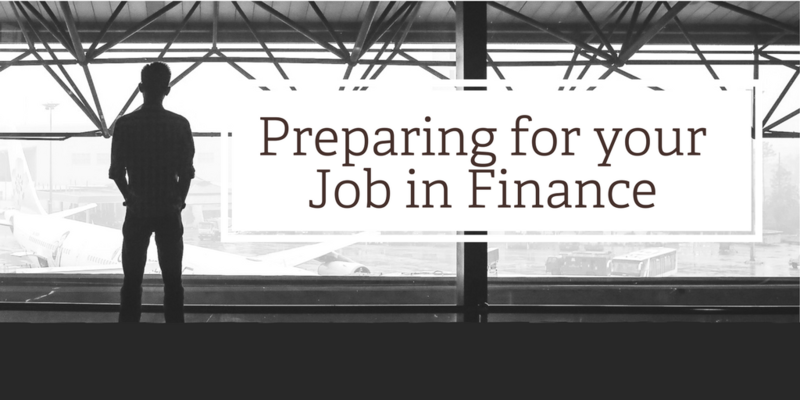 That’s why, if you do have an interview for any level or position in finance, it’s so important to be well prepared. When our candidates embark on an interview with a finance company, we like to prepare them with a set of potential questions they may be their interviewers. Interviewers may ask this question to help detect what drives you, for example is it about the money or the finance industry itself that is your biggest motivation. Have a think about your response, keep in mind, the desire to make money doesn’t necessarily equate to a sufficient drive to succeed or real passion for the business. For some finance candidates, the answer may be related to a specific project or an award. Here’s your opportunity to share insightful details about what you feel about your achievements. Your prospective employer may use this question in order to find out whether you are suited to the role. What can you bring to this role that you’re certain other applicants can’t? Employers in this sector will want to get to the bottom of why you want this role. They will want to know your precise role-related experience, achievements within the industry and insight into your unique personality. This question isn't so much about the reasons but a way of gauging your level of confidence — is it too much or just right? Posing this question helps your prospective employer gain insight into your ability to overcome adversity or challenges throughout your career. They may be particularly interested in a piece of information on your CV - for example, if you were made redundant they may want to know how you overcame that situation. What would previous coworkers and managers say about you? Those involved in employing you will be interested to find out how others perceive you, this is a good way for them to find out whether you will fit into the culture and whether you are a match for the position and the company as a whole. They will be recording what you say and then following-up with their references to see if the descriptions match. Your prospective employers want to understand whether your finance career path is aligned with the position to which you are applying. For example, if you are looking for a 'here and now' type of position it won’t do you any favours if the company is looking for someone who wants long-term career. Don’t just give out pat answers that sound like wishful thinking rather than authentic, actual long-term plans. Are you willing to work all hours? Depending on the position and the company culture, it may be necessary to work late from time to time, in order to finish projects and responsibilities. Your answer to this question will reveal if you are dedicated and passionate about the role. This question may be asked to see if you have the kind of competitive spirit crucial for thriving in the role you’re interviewing for. Playing sports, whether currently or previously, is a great way to determine whether you have a competitive nature. Talk about how sport has taught you in your business and professional life. Are you really interested in the finance industry, or are you just exploring your options? Passion for finance is essential to staying afloat in this industry and you can be sure your prospective employer will be looking for a high level of enthusiasm and passion. If you could only pick one, what stock would you pick and why? This is a great question and one the few industry-specific questions that will give your prospective employer a sense of whether you are a risk-taker, or whether you play it safe. This line of questioning also gives the interviewees insight into how much you know about the industry as a whole and how much homework you have done prior to the interview. Be prepared for these kinds of interview questions specific to the finance sector. You will want to demonstrate that you are a candidate who is truly passionate about the opportunity and not just trying to 'win the job.' Always read between the lines. For an informal chat about any issues raised in this blog please contact us. Source: OneWire.com, Jersey Business Tendency Survey.